With so many schools, churches and other local groups putting on fetes, carnivals and family fun days over the year, why shouldn't they be joined by a local eatery? 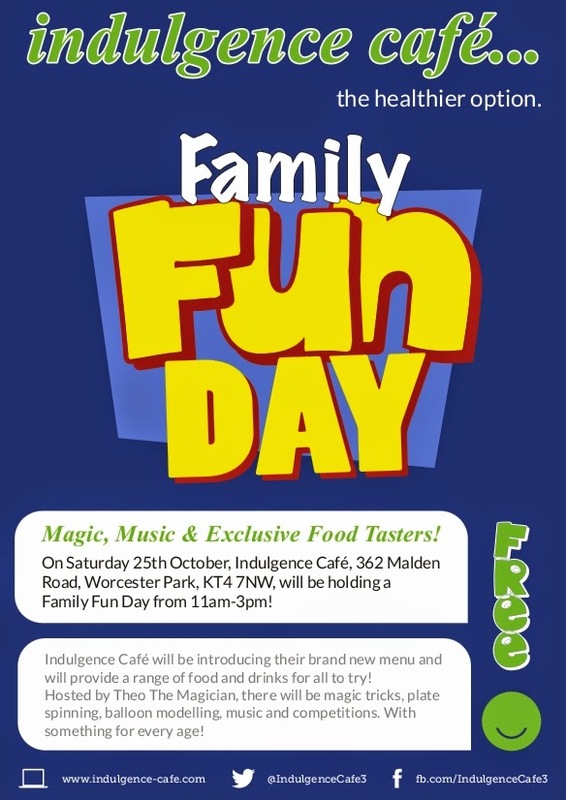 Indulgence Café, opposite the Plough will be treating Worcester Parkers to their own family fun day tomorrow (Saturday 25th October) from 11am 'til 3pm. Theo the Magician will be hosting the event with magic and other tricks and there will be a range of food and drink on offer for everyone to try. "Promote our new menu and linking the two businesses with the motto 'Good Food = Good Health.'" So during this short scarcity of local carnivals, why not take advantage and pop into Indulgence Café for a bit of family fun?